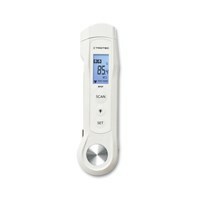 The ideal Thermometer for food control in within measuring range from -40 °C to +200/280 °C! 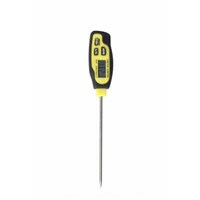 The ideal thermometer for food inspection in a measuring range from -40 °C to +200/280 °C! Prod thermometer in the MultiMeasure Basic Series. 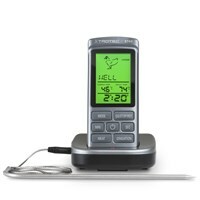 Wireless control of temperature while grilling, roasting and baking: the barbeque thermometer BT40! With the Trotec insertion thermometer will succeed each roast! When is the roast ready? A insertion thermometer tells you exactly when the time has come! You measure with the insertion thermometer the core temperature. Depending on the type of meat, there are standard values for the temperature, which should have inside the roast. Insertion thermometer inside- measure - done. In particular, food processors industries, food service professionals and inspectors have the instruments for a simple and effective HACCP-compliant determination of the food core temperature. By the way: for a perfect wine enjoyment for dinner is catered with our insertion thermometer ... because the versatile insertion thermometer is used wherever fast and uncomplicated temperature have to be measured!